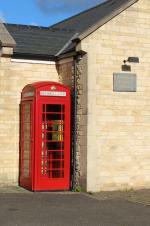 The defibrillatorAED) in the telephone box near the Village Hall is up and running. The code for access to the AED cabinet is C2589X, but before using it, a call should always be made to the emergency services. They will be able to give out the code if needed, as well as mobilise the ambulance service. PLEASE NOTE the defibrillator needs to be used in conjunction with CPR. It will not save a life on its own. If you don't know how to do CPR, there are frequent, excellent Heartstart courses run by Oundle Rotary Club (www.oundle.info.) There have been two recent Heartstart courses in Glapthorn, giving basic first aid training, including an insight into how the AED works. However, anyone who needs it will be able to use the device from instructions given by the machine itself. To check availability, and request a booking of the village hall, please visit see calendar, by using the link below: or, you may request your booking by email to Glapthornvhbooking@gmail.com or telephone 01832 274963. The Hall is now equipped with wi-fi, an overhead projection system and an electronically controlled dropdown screen. Contact the Hire Office for information. If you would like to HIRE the village Hall, CLICK HERE to make a booking. In an effort to ensure the white linen village hall tablecloths are kept in pristine condition and ready for use, a decision has been made for them to be available only by hire at a cost of £10 per cloth (to cover professional cleaning costs). Anyone interested in hiring the cloths should call Jeff Knowles on 01832 274963. We currently have a vacancy for a Trustee; let us know if you would like to join us. Fund raising is essential to maintain the Village Hall. What better way to do that than having a fundraising funnight? On 2nd June we had great fun and raised over £1000 for the upkeep of the Hall. Thanks to everyone who came and joined in. On 28th October, we co-hosted, with the Best Village Group, Glapthorn's first History Day. This well received social event was also a great money raiser for the Village Hall. £200 was raised towards the upgrading of our heating system.